Loudoun County has launched a second survey to gather public opinion about issues related to short-term residential rentals. Last month, the county began requiring operators of short-term residential rental units to register their property and provide other information, such as their ownership status in the property, the number of bedrooms that could be rented, and whether the home is served by a well or septic system. Real estate licensees or people represented by a real estate licensee are NOT required to register their short-term residential rental units. Visit https://dullesarea.com/2018/05/10/registrationprocessbegins/ to learn more about this registration process. You may also download a Fact Sheet about short-term residential rentals in Loudoun County. Should short-term residential rental operators be required to obtain a zoning permit prior to operating their rental business? Should short-term residential rental operators be allowed to hold special events (parties, weddings, etc.) as part of their zoning permit? If so, how many per year? Should the County require that a short-term residential rental property be the primary residence of the operator? 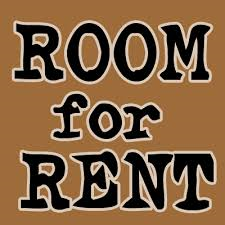 Should the County limit the number of unrelated guests who can rent within the same short-term residential rental at the same time? Are short-term residential rentals appropriate countywide or should they be limited to certain areas? Leaving your contact information is optional. The survey is expected to run through September 7, 2018. DAAR is closely monitoring the progression of the county’s efforts to regulate short-term residential rentals. If you have any questions are concerns, please contact Brenda Morton, Government Affairs and Communications Manager, at (703) 777-2468 or bmorton@dullesarea.com.